This Stirling dining table features a wonderfully design and is the ideal centerpiece for any dining room. It is completely made with solid oak wood, with solid oak veneer and polished with natural wax for extra nourishing luster. This table can accommodate up to 6 dining chairs comfortably, perfect for special occasions such birthdays or family meals! The beauty of this table comes from a rustic finish achieved by treating the oak with wax. Style your dining room with this solid eye-catching piece. 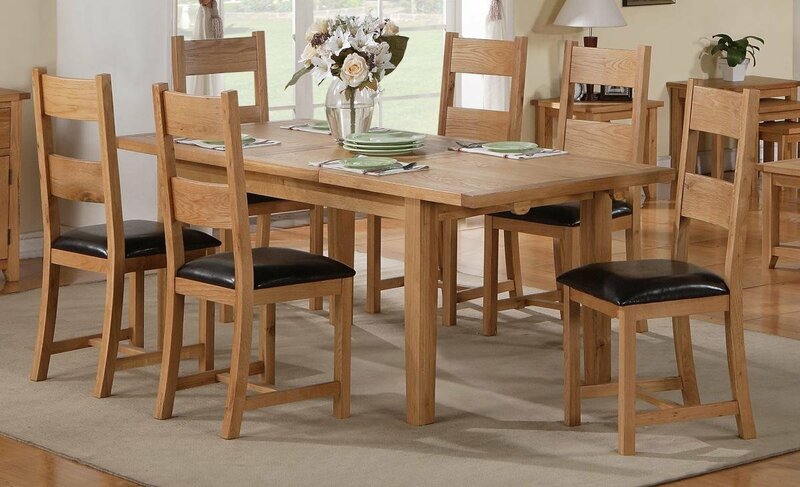 This dining table comes with set of 6 chairs, fully padded seats and upholstered with faux leather.